CHRF and our partners around the globe truly believe in the phrase "a little, goes a long way" and a great example of this idea being used in reality is our partner project in a small village in Central Uganda. Beginning just a few short years ago as a small feeding and agricultural project, now we are helping provide children and families with food, agricultural training and a life changing education for more than 50 children! 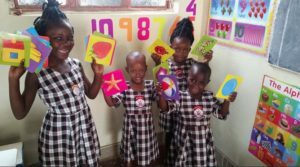 Take a look at the wonderful news that we just received from our long time Uganda partner (and CHRF Good Samaritan of the Year) Judi Gentry! Last season we managed to seed some of our 2 acre piece of farmland at Sembabule. Our women's Co-op of 16 members worked very hard and the result was a pretty fine harvest. 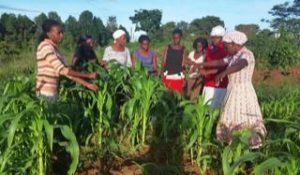 They grew maize, beans and sweet potatoes plus some other vegetables. 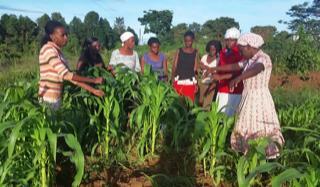 Their efforts resulted in many sacks of beans and maize flower, etc. 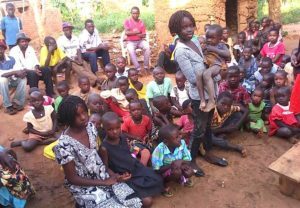 It nourished their 16 familes, plus our 9 rescue kids and our 30 street kids!... for months! Hard to imagine how we could have made it, without that farmland and harvest! Daisy and Destiny, helping the street kids, when they first found us. Now receiving a high quality education in our school! The major news about our school is that we truly built it... TOGETHER!! 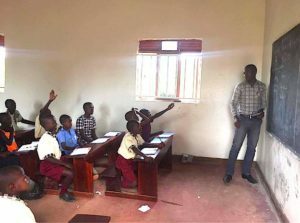 School walls (of all THREE CLASSROOMS were built by UGANDANS!.. THEN roofed by CHRF! 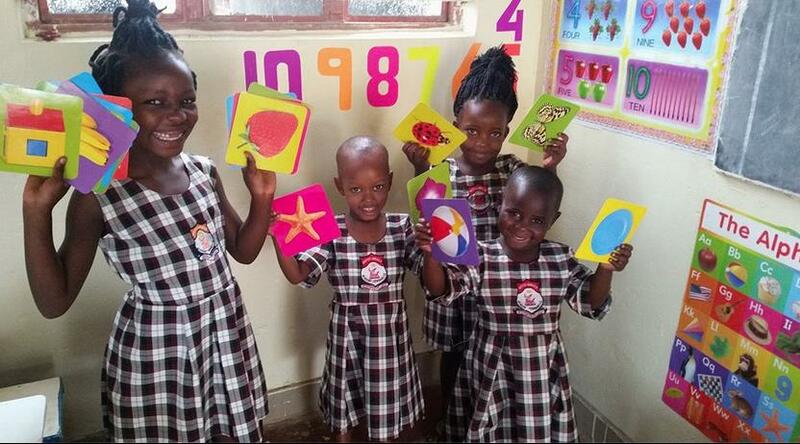 ... and finished (PLASTERED, PAINTED AND DESKS,) ...by Help Uganda Kids. Our ex-street kids in their new classroom, with our really fine teacher, Mr. Ian. But...the even greater news is.... OUR SCHOOL IS NOW SELF-SUFFICIENT!! We're proud of that... tho we always need more school supplies.... and another teacher. We have 50 kids in the school now. Some are sponsored and some are paying students from the town. But we also allow our non-sponsored street children to attend lessons. SELF-SUPPPORTING!! Next harvest, we will be able to save seed for the following planting. And the chickens will CERTAINLY be self-supporting. Our only problem is that the rains are starting! Time is critical now for planting.